Shape Architecture has completed many projects throughout Fulham. 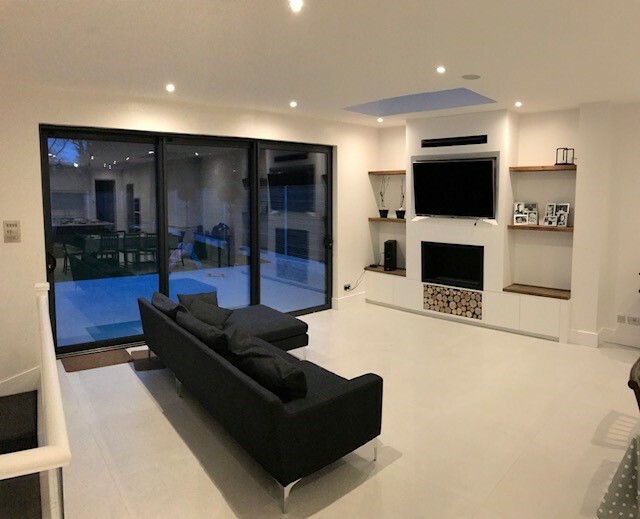 These range from basement extensions to larger basement projects with whole house refurbishment to pod rooms, side and rear extensions, and wrap around extensions. 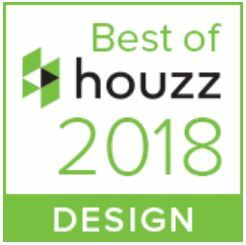 As architects in Fulham we are proud that many of our projects come through client recommendation and we work very hard to ensure the service we provide contributes to a series of successful projects. 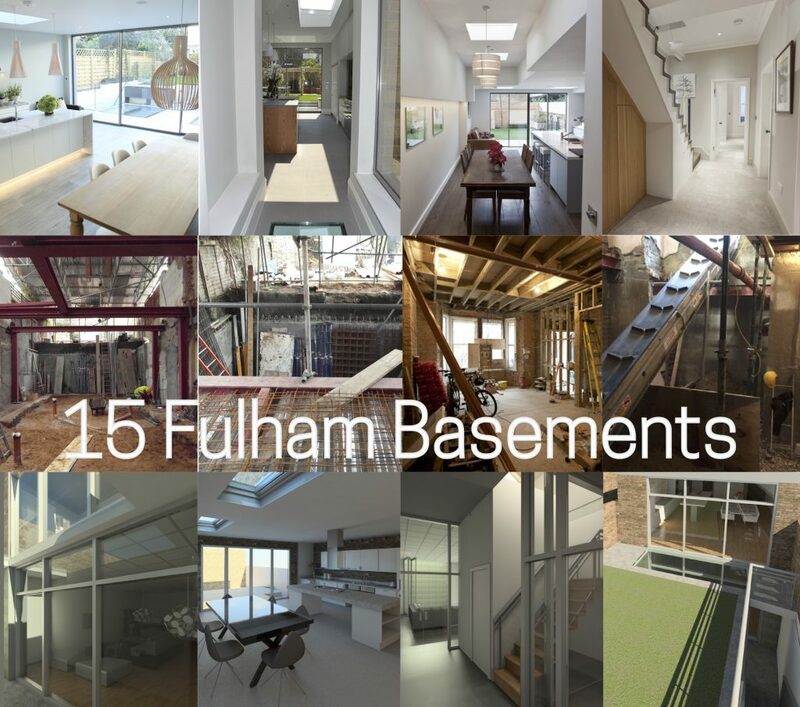 We have put together a brochure featuring Fifteen Fulham Basement Projects. 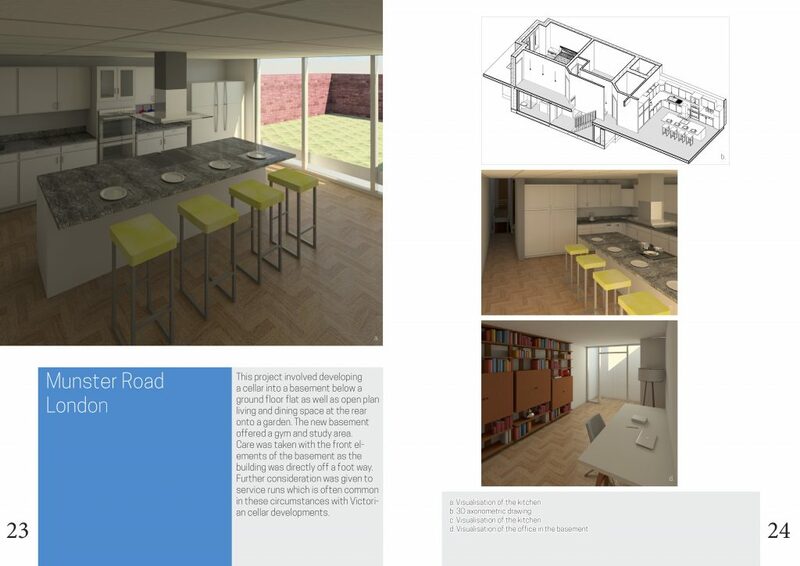 Each project is described with photographs, computer images and floor plans. We have designed and built many basement extensions throughout Fulham. These have generally comprised a basement extension alongside side and rear extensions, pod rooms, loft conversions and internal refurbishment. 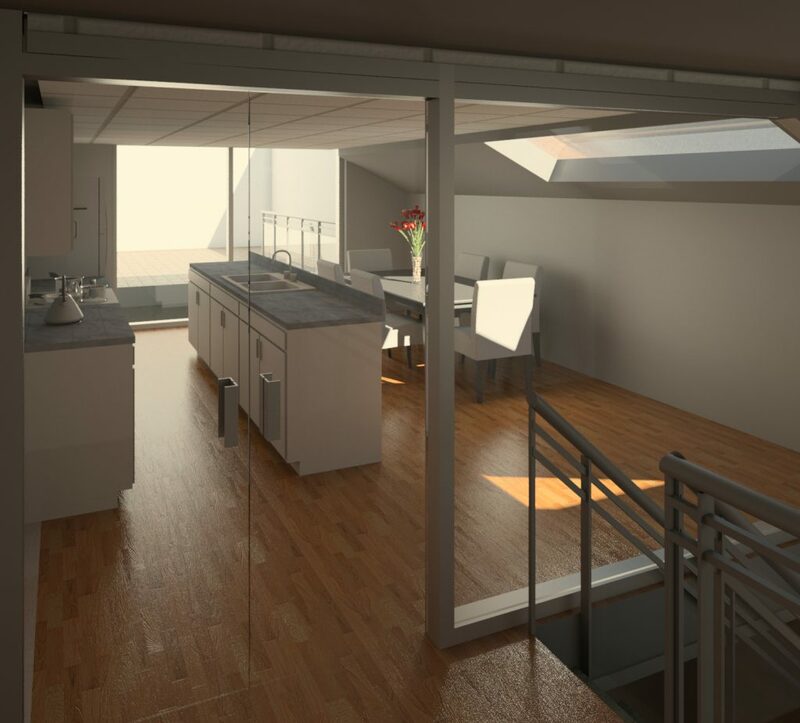 Several basement projects have been smaller versions with the addition of a basement extension to a property and the refurbishment of the Ground floor above. 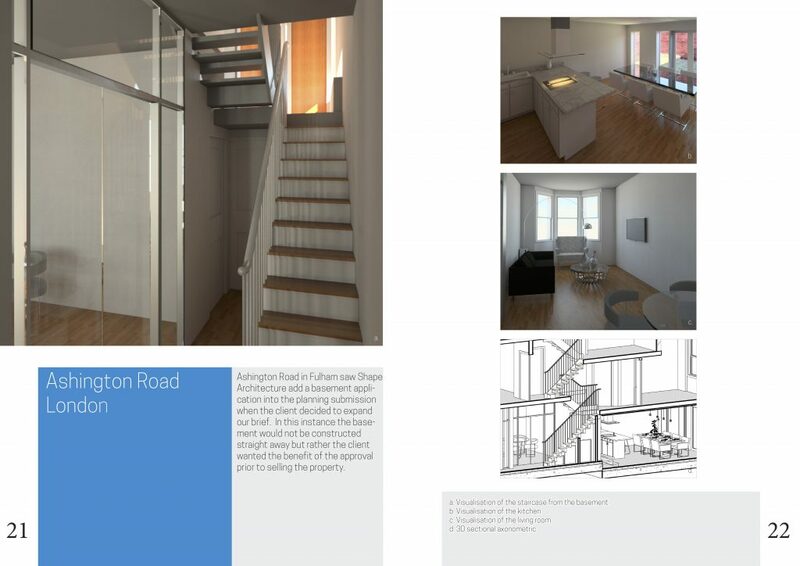 Below we have provided further information in relation to our architecture in Fulham and descriptions of built projects to illustrate the issues involved. 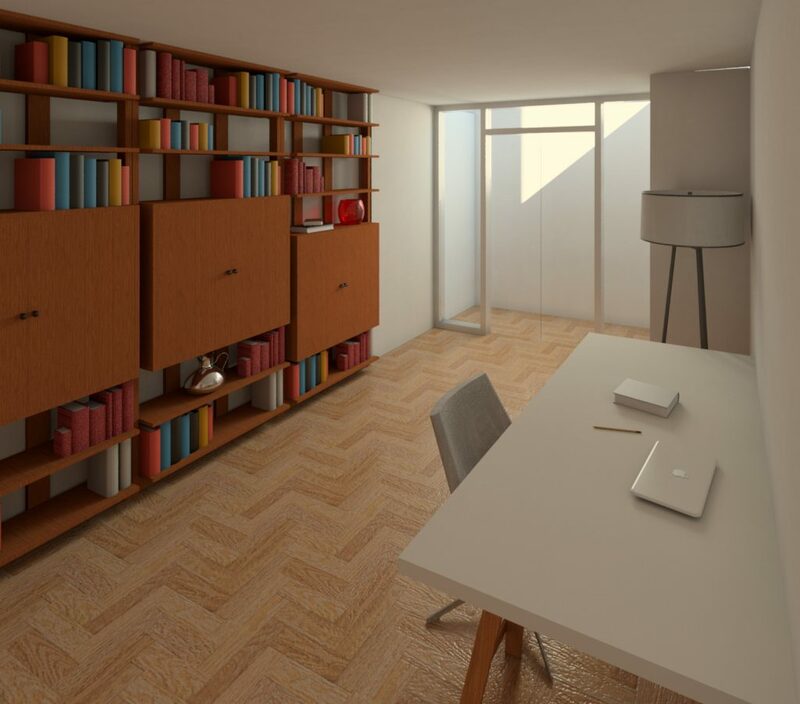 Our expertise in basement design throughout London and in particular in Fulham is extensive. 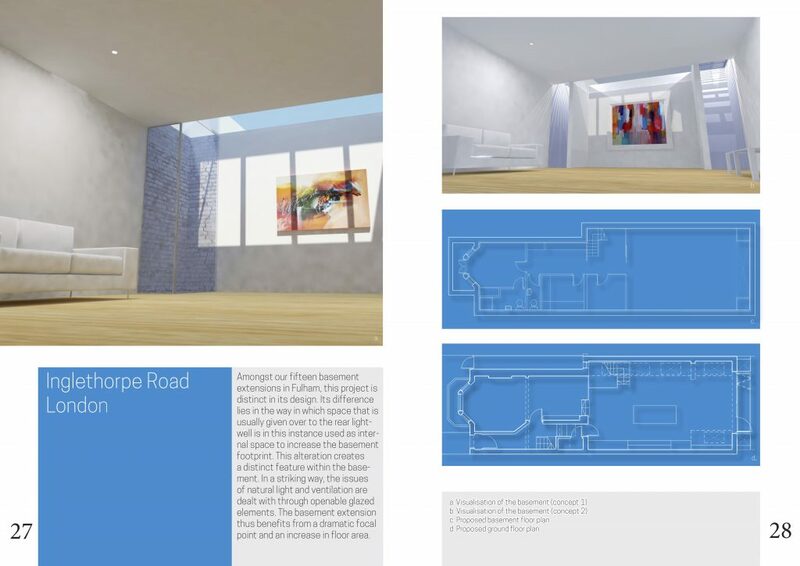 We are therefore able to point to built examples when illustrating design issues and can show many variations of our Fulham architecture when discussing and planning floor layouts for example. We create basement extensions that are light and spacious and integrate well with the upper levels of the property and the garden spaces beyond. Shape Architecture Fulham have been involved in our residential basement conversion project from inception right through to the final stages. We have been very impressed by their continual professionalism and dedication to the project. They have been supportive to us, as clients, throughout the project and have always been responsive to what was needed at the different stages. The level of service received has been very personal and we have felt that we were a priority throughout. We would thoroughly recommend Shape Architecture to others. The garden light well is an excellent way of getting light directly into the basement, combined with a glass bridge from the rear of the property that links the kitchen and dining room with the garden beyond. Here the feeling of openness and the connection between the inside and the garden is best realised when glazed sliding doors are opened up onto the garden. 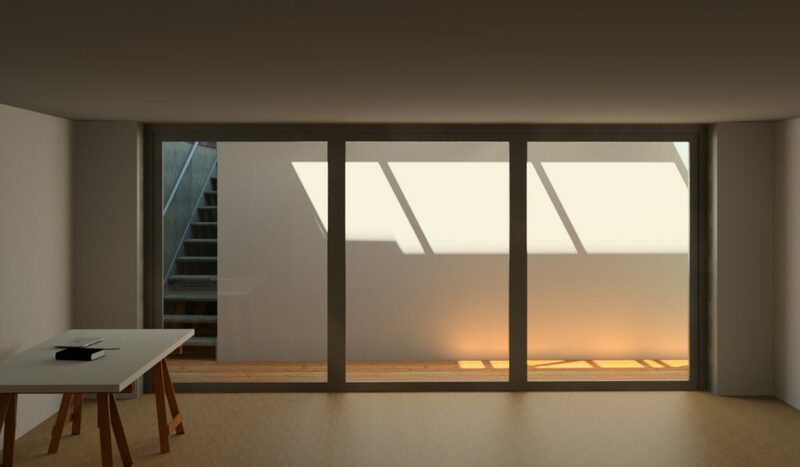 The garden light well brings light and air into the basement space and once more glazed sliding doors can open up onto the light well at basement level. 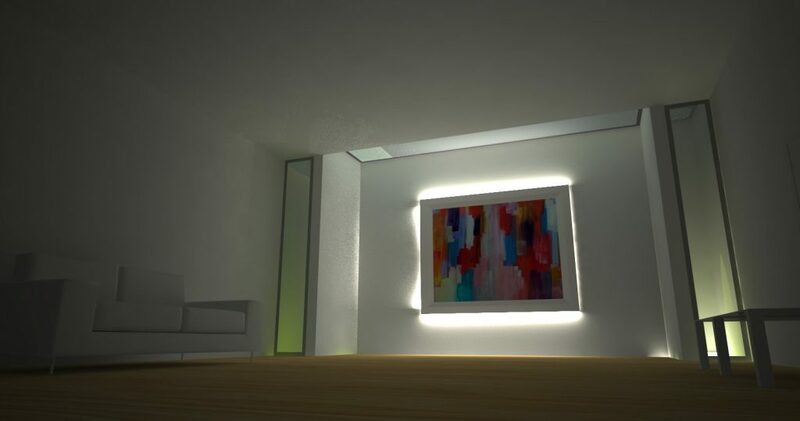 At our basement project in Ellerby Street (where we have completed three basement extensions) we have incorporated a number of lightwells and other light sources. 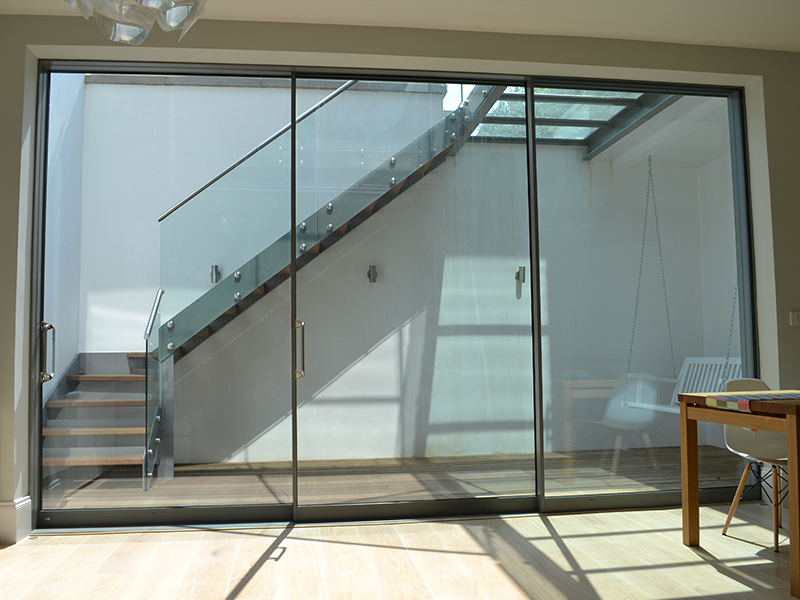 The garden lightwell has a glass bridge connecting the ground floor kitchen to the garden beyond and this connects to a simple and elegant glass fronted staircase providing access between ground floor, basement and garden. At the ground floor kitchen two large sliding doors open onto the lightwell with clear views of the garden. 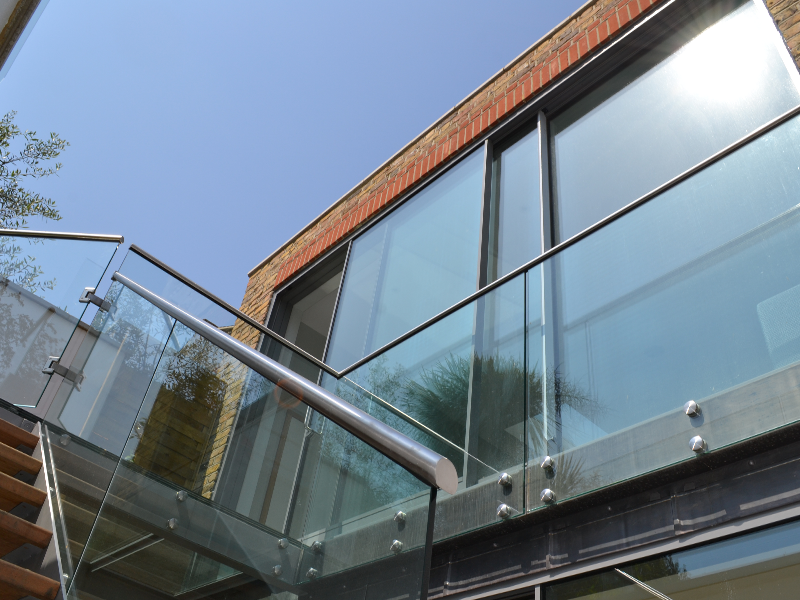 A fixed glass balustrade provides a secure barrier. The composition is light and transparent. 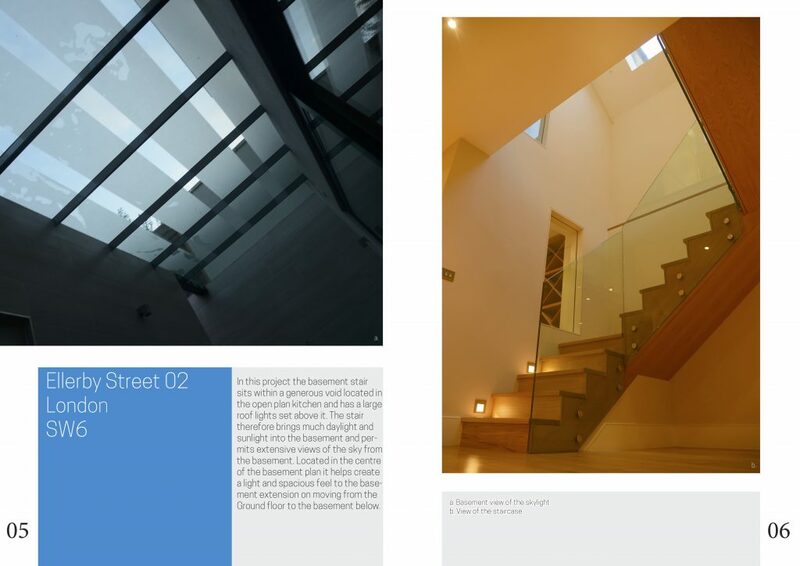 The middle of the basement also has a smaller lightwell which is able to bring light and air into the heart of the basement and also provides interesting visual connections as a glass bridge sits over it allowing access between the front and rear of the property. The ‘street side’ of the basement is lit by a large format roof light located in the front garden. An alternative solution for this and other instances of basement architecture in Fulham would be a further lightwell with steel grating over. 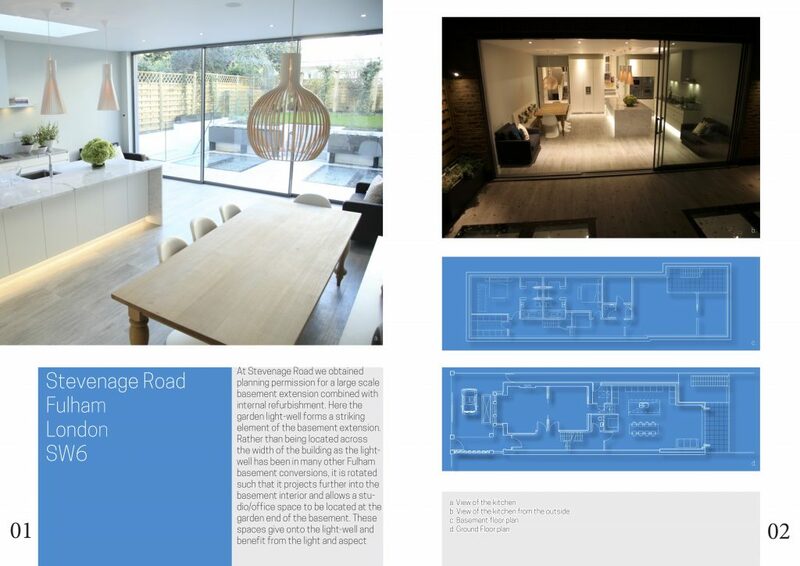 The issue of light penetration into the basement and the way in which a basement project can help integrate the inside and outside spaces has been investigated at our project in Hurlingham Road. 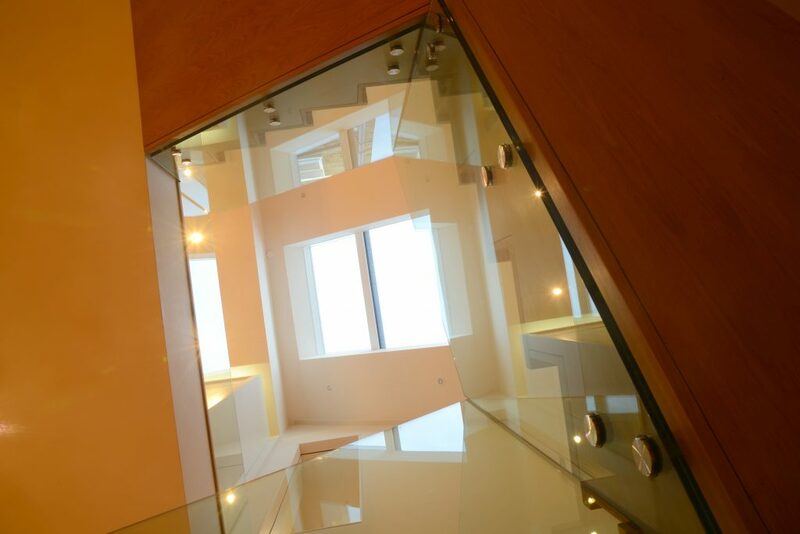 Here a feature glass cube houses a stair that leads from the ground floor kitchen down to the basement level. The glass box allows clear views into the garden as you descend the stair. This design also helps bring much more light into the basement and opens up views onto the garden from within the ground floor. Amongst our basement extensions in Fulham our project in Broomhouse Road illustrates how simple design measures can provide a light filled elegant interior. Here, in a typical example of the vernacular architecture Fulham possesses, we designed the extension such that the stair down to the basement follows the location of the existing stair flights, and at basement level the enclosure to the stair is set back to allow the stair edge to ‘float’ over and provides a greater sense of space. 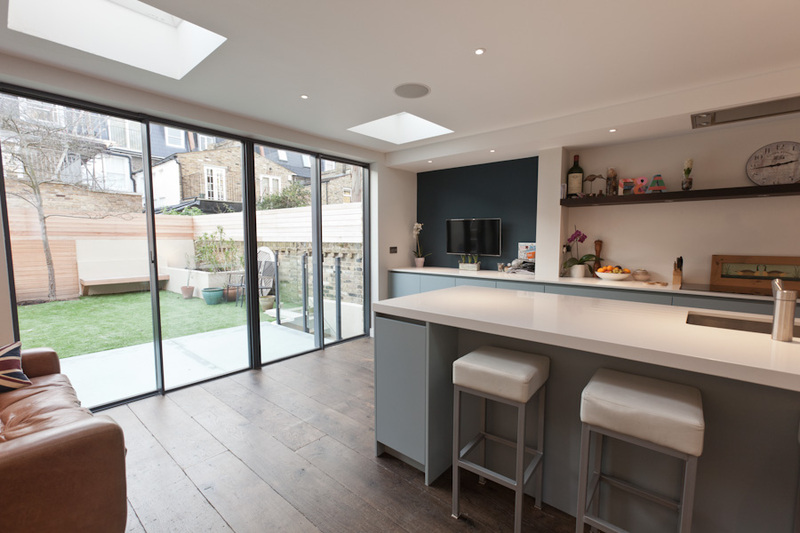 At ground floor the side and rear extension have clearly articulated ceilings interspersed with a number of roof lights and this helps create an open and interesting interior. Another design element that adds much to the quality of the space is the secondary access between the front reception room and the kitchen beyond. This allows long views from the front reception room all the way to the garden beyond. 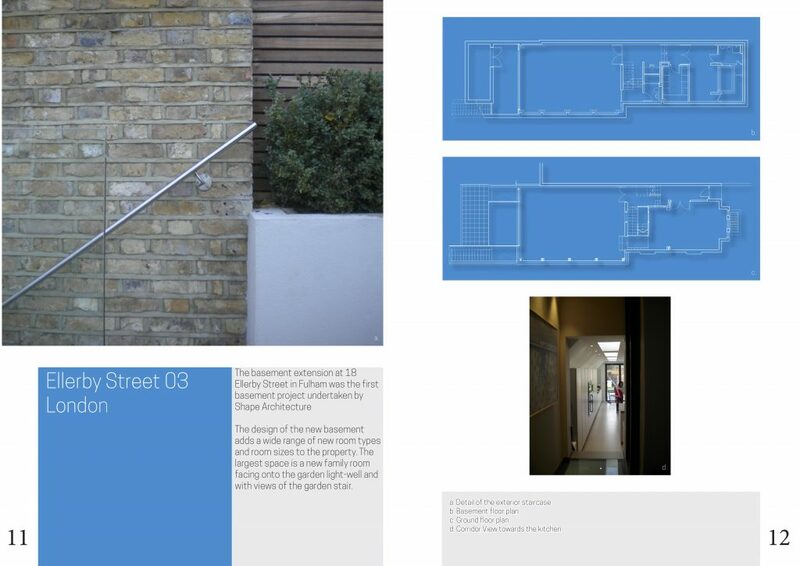 We have also use this design at other basement extensions in Fulham including two in Ellerby Street, one of which has the stairs to the basement opening off this space. 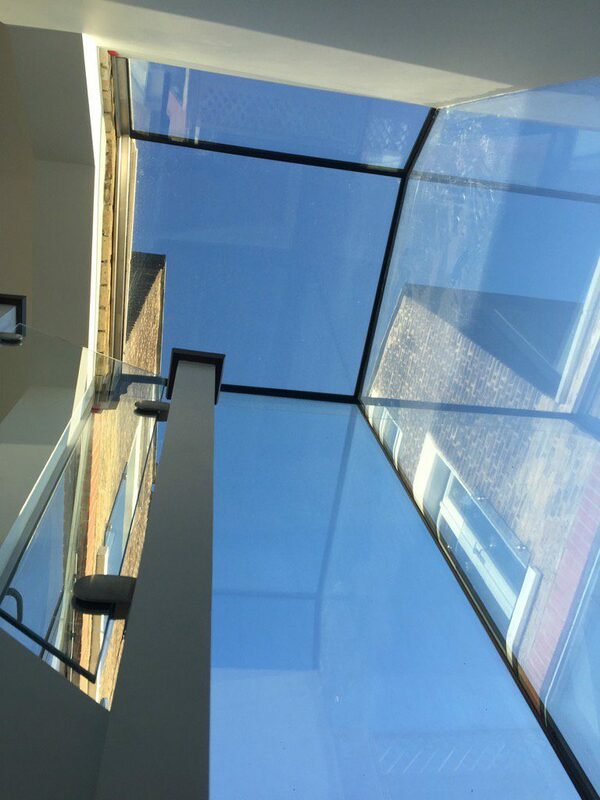 Another of our basements in Fulham is also located in Ellerby Street, and in this instance the stair between the ground floor and the basement is a design feature, located in the kitchen and with a large roof light set over it bringing much light and views of the sky down into the basement. At ground floor views from the study over the stair void make for an interesting private workspace that still integrates well into the house. In the creation of a basement extension there are very many technical issues that demand an experience in the construction of these spaces. Having constructed a wide range of basements as London architects and as Fulham architects in particular, Shape Architecture has a proven track record and also has excellent working relationships with structural engineers in Fulham and also Basement contractors. We have also worked on a wide range of Basement Extensions throughout London of many different types and sizes ranging from a basement combined with lower ground floor conversion in Chelsea to a double basement in Kensington and can bring the knowledge gained from these projects to our work as architects in Fulham. 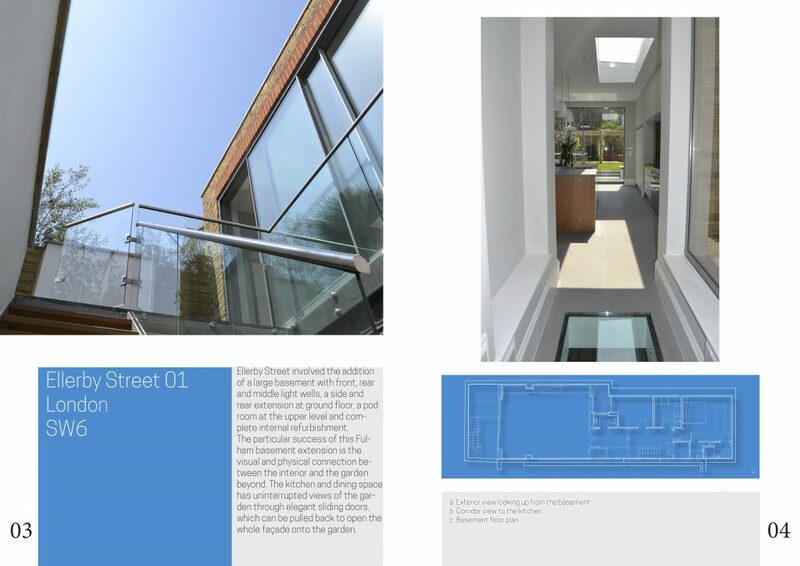 Shape Architecture has also carried out a number of side and rear extensions in Fulham, such as at St. Dionis Road. 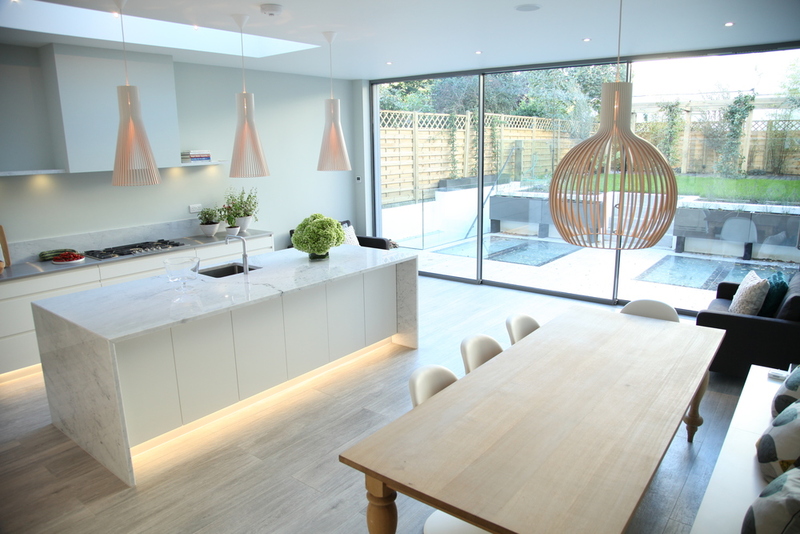 Here a side and rear extension was combined with a Pod room and internal refurbishment to form a light and airy interior and add additional bathroom space at the upper level. At the ground floor, further study spaces and a much enlarged kitchen and dining room were added, with a large expanse of sliding folding doors opening up the interior onto the garden. 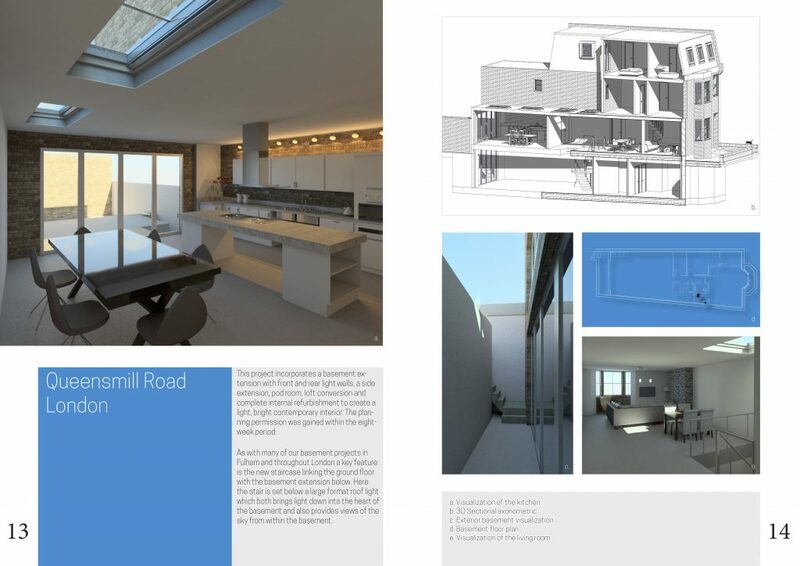 The following lists several of our recent projects as architect in Fulham. 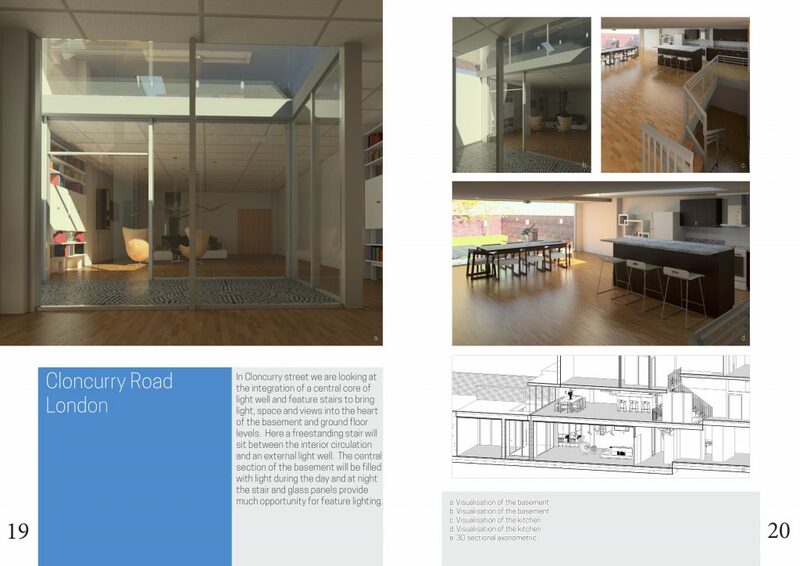 At Stevenage Road we obtained planning permission for a large scale basement extension combined with internal refurbishment. Here the garden light-well forms a striking element of the basement extension. 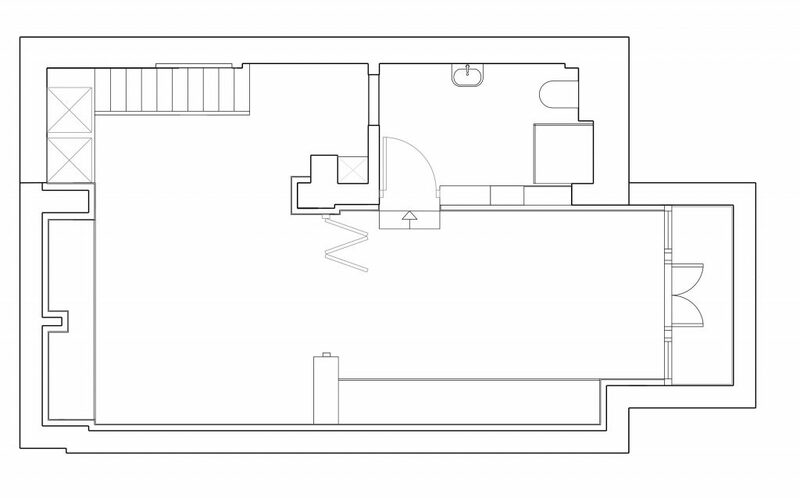 Rather than being located across the width of the building as the light-well has been in many other Fulham basement conversions, it is rotated such that it projects further into the basement interior and allows a studio/office space to be located at the garden end of the basement. These spaces give onto the light-well and benefit from the light and aspect that it provides. Ellerby Street involved the addition of a large basement with front, rear and middle light wells, a side and rear extension at ground floor, a pod room at the upper level and the complete internal refurbishment.The particular success of this Fulham basement extension is the visual and physical connection between the interior and the garden beyond. The kitchen and dining space has uninterrupted views of the garden through elegant sliding doors, which can be pulled back to open the whole façade onto the garden. A glass bridge then connects the inside to the garden as it crosses the light well. In this project the basement stair sits within a generous void located in the open plan kitchen and has a large roof lights set above it. The stair therefore brings much daylight and sunlight into the basement and permits extensive views of the sky from the basement. Located in the centre of the basement plan it helps create a light and spacious feel to the basement extension on moving from the Ground floor to the basement below. Our basement conversion at Broomhouse Road is particularly successful in creating a light and spacious contemporary interior. A key feature of the new basement is the internal corridor into which the stair connects. Whilst the stair follows the run of stair flights in the house the effect at basement level is to arrive in a large open light filled space. This is achieved by simply recessing the wall below the stair flight a further 300mm and finishing it in wood veneer, in order to make the edge of the stair seem to float and feel lighter. 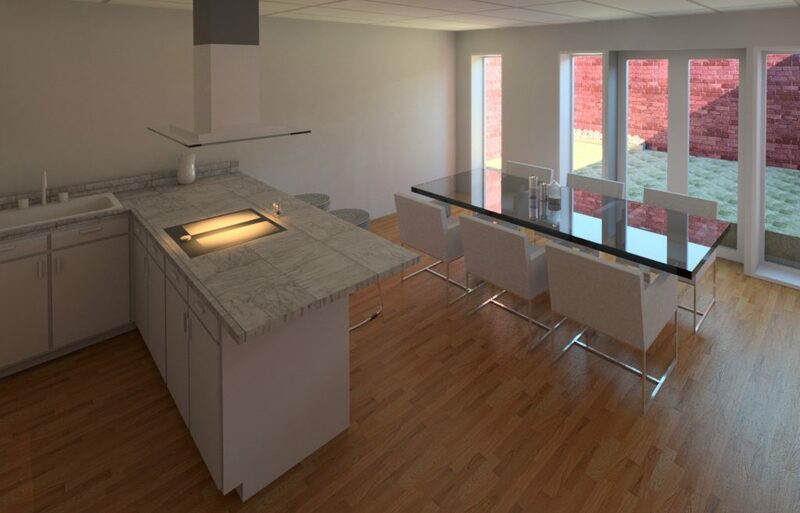 Shape Architecture uses 3D graphics on all our projects and at all stages of the design process. This is an excellent basis for discussion with the client and a way in which various designs can be explored. 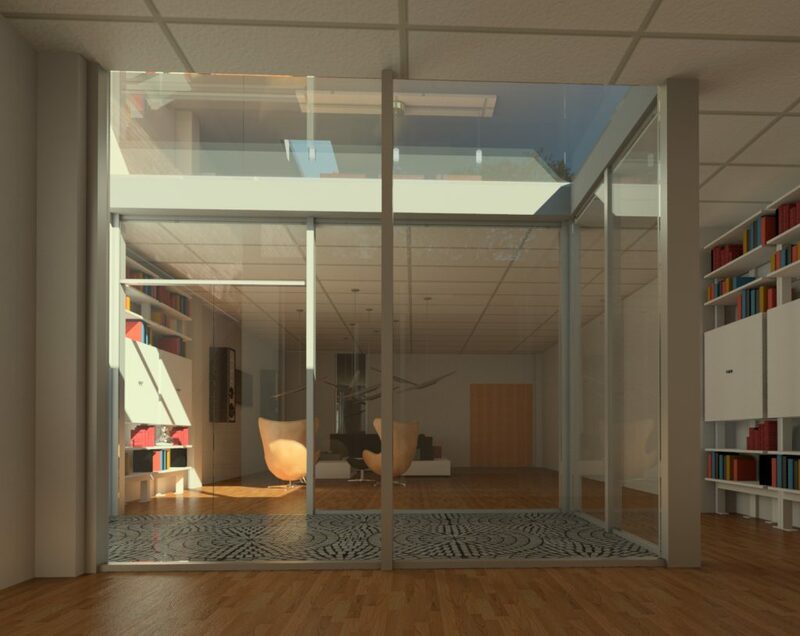 In basement design we can also produce animations to show the movement of light and sunlight in the basement over time. Our initial consultation is always free and we are always happy to visit your home and discuss your plans. 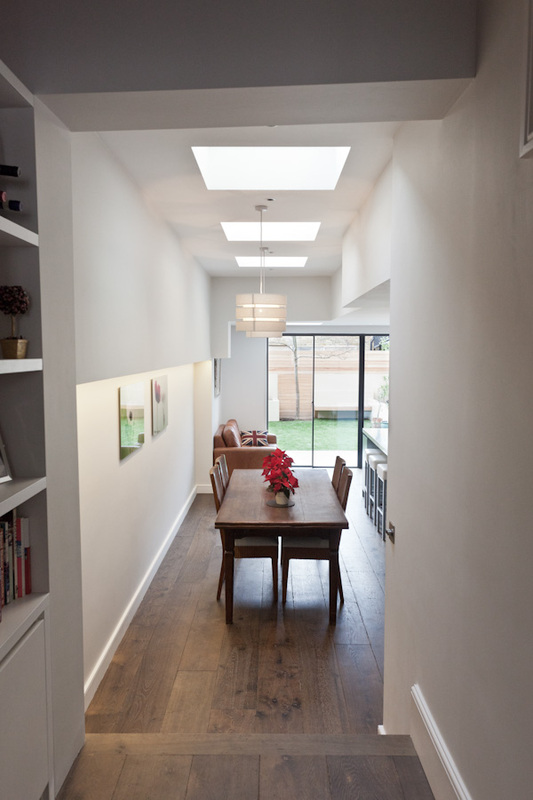 The basement extension at 18 Ellerby Street in Fulham was the first basement project undertaken by Shape Architecture. The design of the new basement adds a wide range of new room types and room sizes to the property. 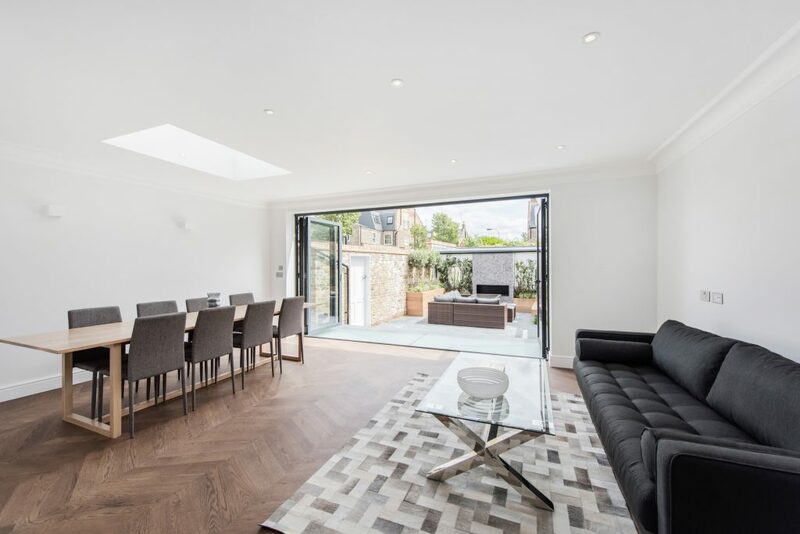 The largest space is a new family room facing onto the garden light-well and with views of the garden staird large format elegant glazing systems and rooflights. 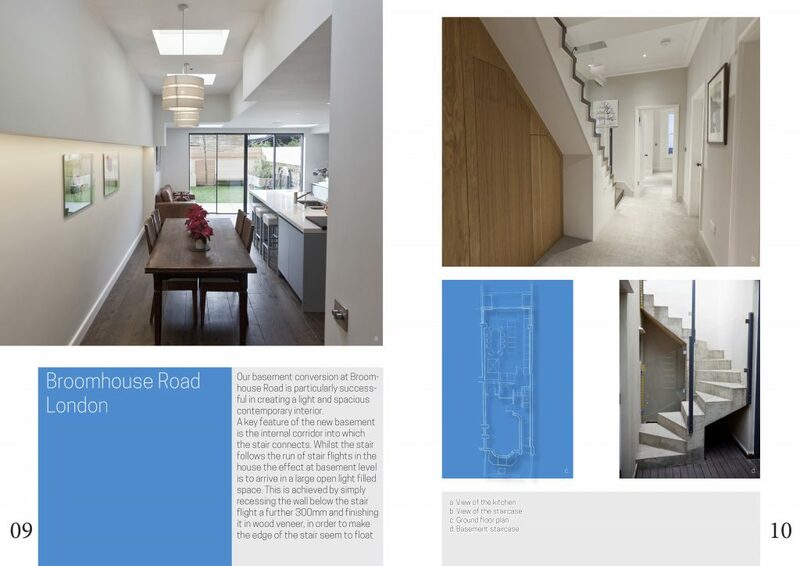 This project incorporates a basement extension with front and rear light wells, a side extension, pod room, loft conversion and complete internal refurbishment to create a light, bright contemporary interior. The planning permission was gained within the eight-week period. As with many of our basement projects in Fulham and throughout London a key feature is the new staircase linking the ground floor with the basement extension below. Here the stair is set below a large format roof light which both brings light down into the heart of the basement and also provides views of the sky from within the basement. This basement extension and whole house redevelopment in Clonmel road was for a developer client. A key feature is the design of the staircase between the Ground and Basement levels. The stair wraps around a White glass-clad cube that and itself sits on a polished concrete floor. The stair in oak completes the composition from a limited palette of high-quality materials and provides a real focal point for the project ensuring that the basement extension is integrated. 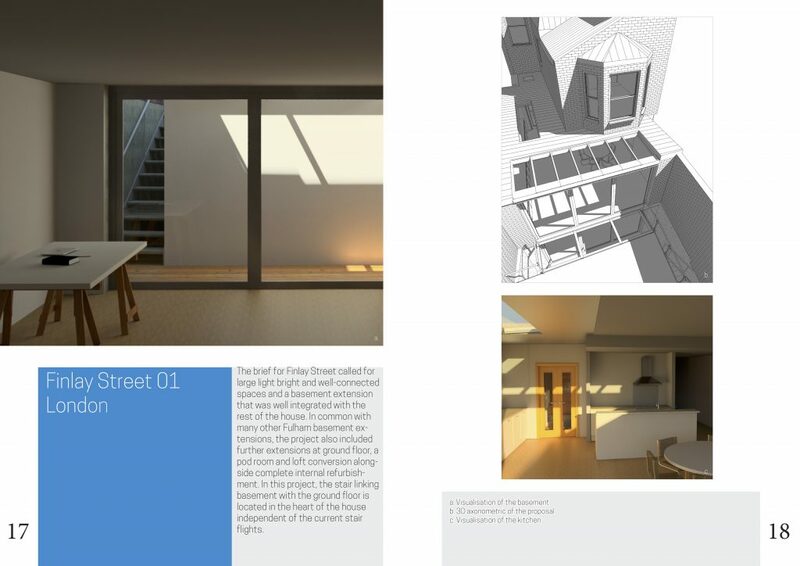 The brief for Finlay Street called for large light bright and well-connected spaces and a basement extension that was well integrated with the rest of the house. 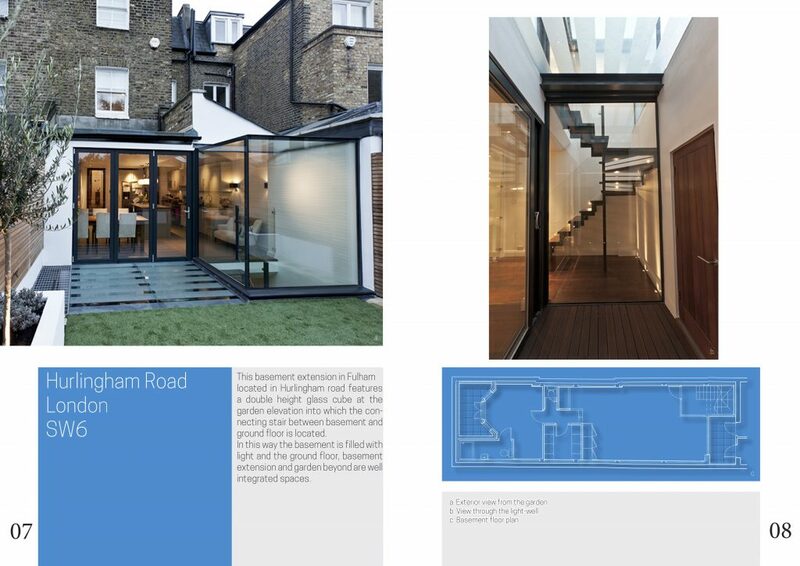 In common with many other Fulham basement extensions, the project also included further extensions at ground floor, a pod room and loft conversion alongside complete internal refurbishment. In this project, the stair linking basement with the ground floor is located in the heart of the house independent of the current stair flights. 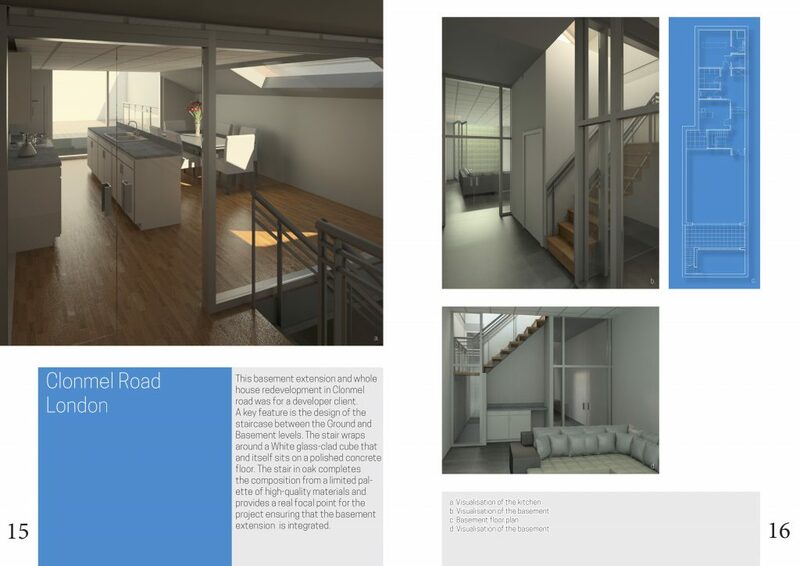 In Cloncurry street we are looking at the integration of a central core of light well and feature stairs to bring light, space and views into the heart of the basement and ground floor levels. Here a freestanding stair will sit between the interior circulation and an external light well. The central section of the basement will be filled with light during the day and at night the stair and glass panels provide much opportunity for feature lighting. 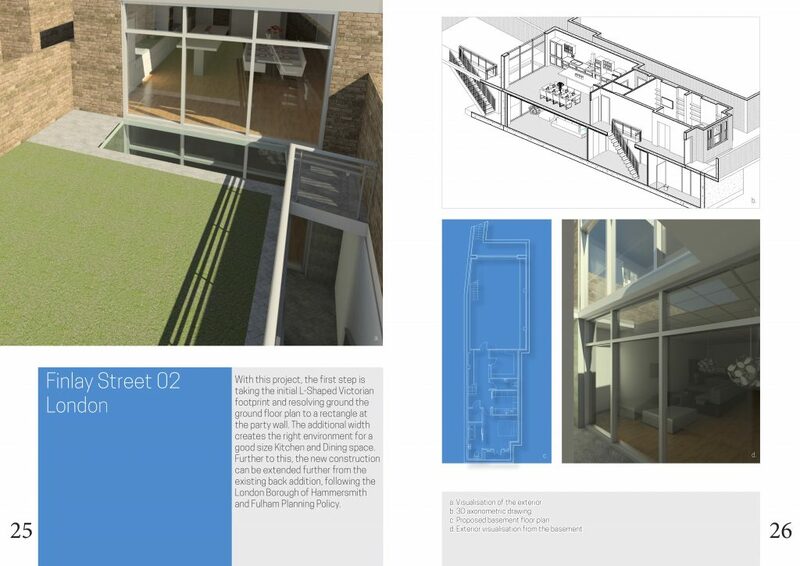 This project involved developing a cellar into a basement below a ground floor flat as well as open plan living and dining space at the rear onto a garden. The new basement offered a gym and study area.Care was taken with the front elements of the basement as the building was directly off a foot way. Further consideration was given to service runs which is often common in these circumstances with Victorian cellar developments. With this project, the first step is taking the initial L-Shaped Victorian footprint and resolving ground the ground floor plan to a rectangle at the party wall. The additional width creates the right environment for a good size Kitchen and Dining space. 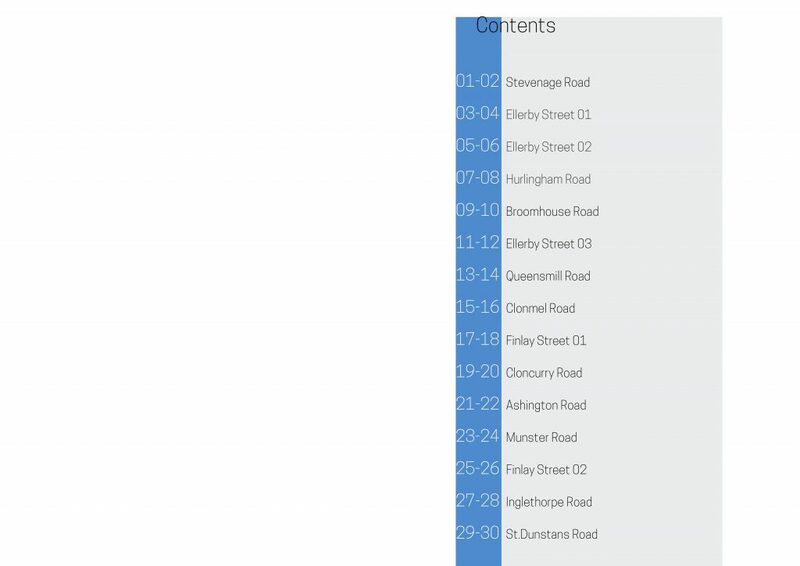 Further to this, the new construction can be extended further from the existing back addition, following the London Borough of Hammersmith and Fulham Planning Policy. Amongst our fifteen basement extensions in Fulham, this project is distinct in its design. Its difference lies in the way in which space that is usually given over to the rear light-well is in this instance used as internal space to increase the basement footprint. This alteration creates a distinct feature within the basement. In a striking way, the issues of natural light and ventilation are dealt with through openable glazed elements. The basement extension thus benefits from a dramatic focal point and an increase in floor area. The brief set out by the client was to design a light bright contemporary house with the basement well integrated into the property and with the garden too. 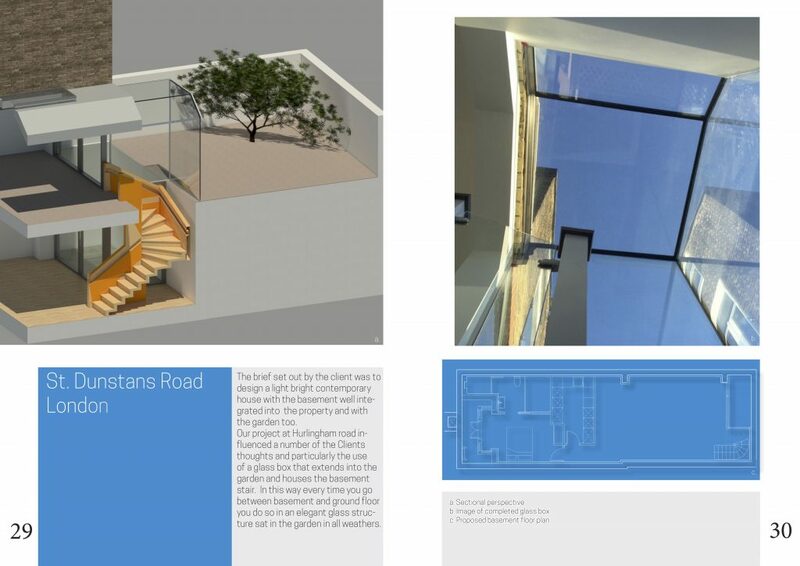 Our project at Hurlingham road influenced a number of the Clients thoughts and particularly the use of a glass box that extends into the garden and houses the basement stair. In this way every time you go between basement and ground floor you do so in an elegant glass structure sat in the garden in all weathers. Our Clients have commented on the above projects. I found Shape Architecture to be extremely helpful and easy to work with. They gave us interesting and inspiring ideas for our house. 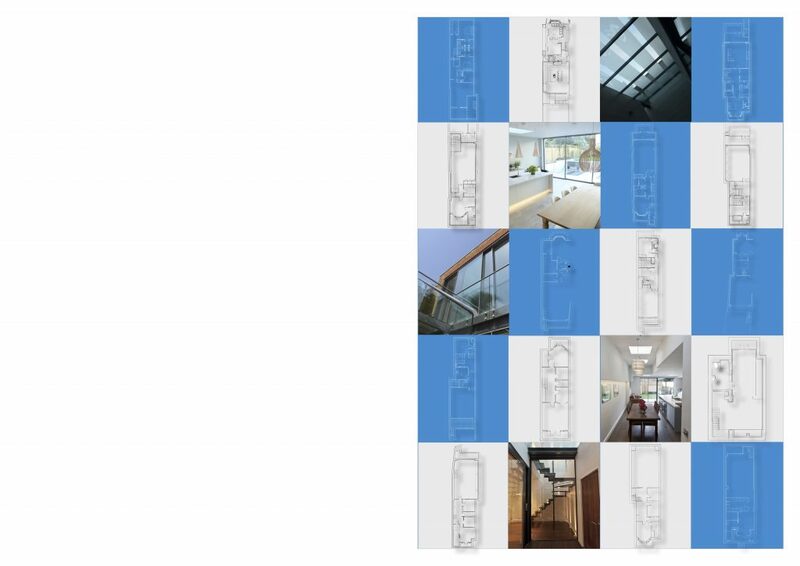 We have enjoyed working with Shape Architecture; they have provided us with thoughtful and practical advice through the design and planning process, guiding us expertly through the technical minefields of planning and building regulations. Shape Architecture have been responsive, available when required and worked well with other advisors.